What’s your favorite food? I’d like to be fancy and say something like sushi or an exciting Thai dish, but if I’m being honest, it’s macaroni and cheese. Hands down. It was all I wanted when I went through a depression and had no appetite. I ate it quite frequently while pregnant and at all hours while nursing. I’m not too too picky about it – I’ll eat Kraft (jazzed up, of course) and I love Stouffers or most any frozen variety, but there are a few caveats to that. I’m not a fan of American or Velveeta cheeses, nor do I prefer my mac ‘n’ cheese baked and all dried out. And I don’t have much use for the bread crumb situation many find appealing atop the baked variety, either. But the good old fashioned recipe my mom makes (or the version I’m about to share, which is hers on steroids) is the bomb.com (I swore I’d never use that term, but I keep hearing it so it’s probably making a come-back). 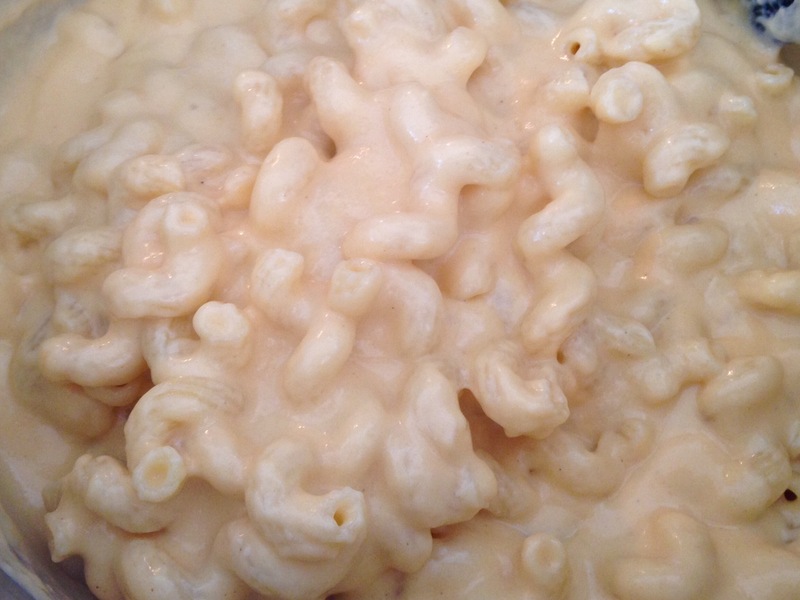 This macaroni and cheese recipe, which I’ve adapted from the one linked, has twice as much cheese and milk (and whole, rather than 2%), heavy cream and a million more calories than my mom’s. But worth it. Go big or go the heck home, I say. Set a large, covered pot of salted water over high heat to boil. 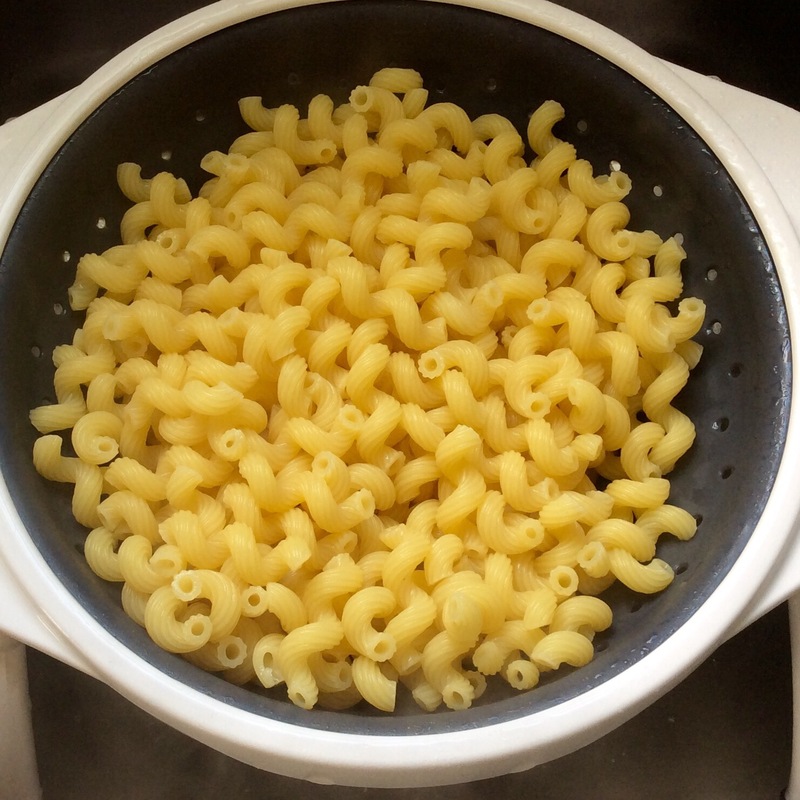 Add macaroni to boiling salted water and cook until just al dente (avoid overcooking). Drain macaroni and set aside. In a large wide pot over medium-low heat, melt the butter. Sprinkle flour over butter, whisking to incorporate and make a roux. Cook, stirring constantly with a wooden spoon (I like to use a flat whisk), until roux is light golden, about 4 minutes. 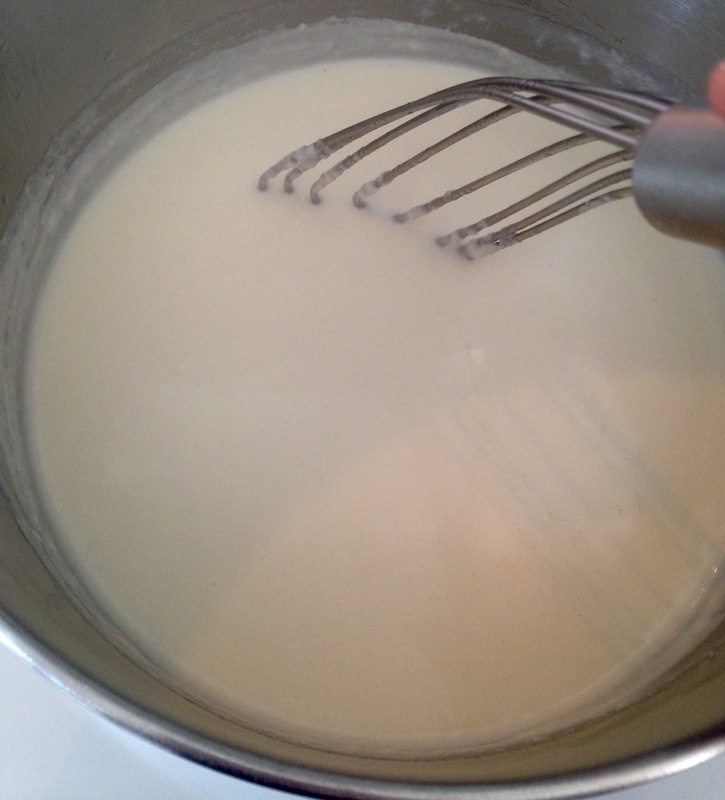 Gradually pour in milk and cream, whisking constantly to incorporate and make a béchamel sauce. Raise heat to medium-high and bring sauce to a low boil, whisking constantly. Reduce to a simmer, whisking occasionally, and cook until béchamel sauce is thick and coats the back of a spoon, about 3 minutes more. Add the salt, pepper, mustard powder, and Parmesan cheese. 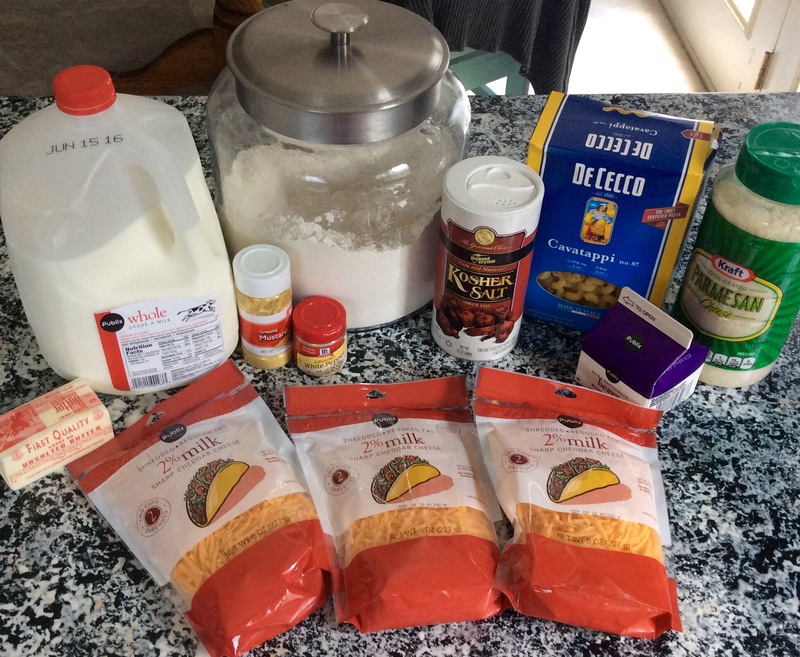 Add the cheddar in three batches, whisking until each addition is completely melted before adding more. Remove from heat. Add the drained macaroni to the pot with the cheese sauce and stir well to coat. Let’s be honest, pasta is good even before the sauce is added! *According to chowhound.com, “white pepper tastes hotter than black but is less complex, with fewer flavor notes. While black pepper is more common in American kitchens, using white pepper in light-colored dishes for aesthetic reasons (such as white sauces and mashed potatoes) is a tradition that originated in French cookery. However, white pepper is also used in some cuisines for its specific flavor.” It seems like, in our case, it may have been chosen for its aesthetic qualities. I’d say you can use either. Yes!!!! It’s the BEST comfort food ever! Lol! It’s worth every calorie. But also good to make for a crowd so you don’t end up eating the whole thing yourself haha.